Candidate expectations have changed in a big way over the past five years. This shift is maybe most noticeable in the way that company career pages, and the job descriptions that are housed on those pages, have evolved. Gone are the days where an effective job description consisted of a paragraph or two describing the company, followed by a laundry list of role requirements. Today, to encourage qualified candidates to find out more about your company and apply, job descriptions should be crafted with the modern candidate’s wants and needs top of mind. To capture candidates’ interest and encourage them to keep reading, you should answer the question “what’s in it for me?” as early as possible in your job description. 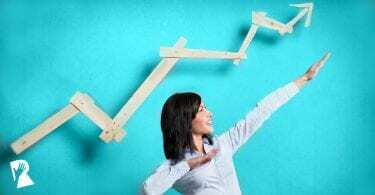 You can answer this question by focusing on your employer value proposition, along with information about compensation, responsibilities and growth opportunities. 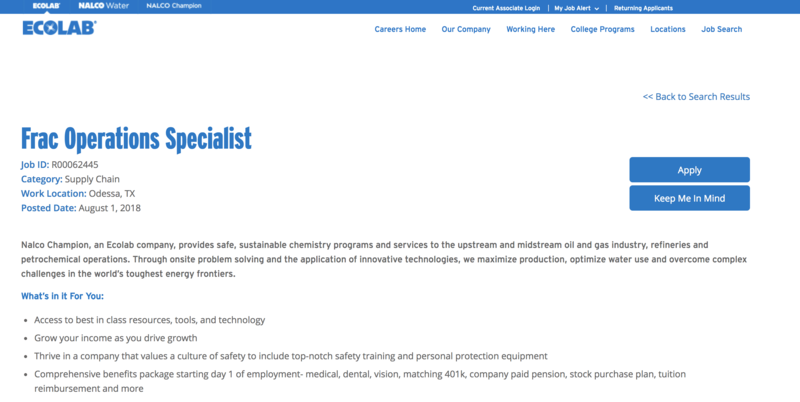 Ecolab makes the “what’s in it for me” ultra-clear for candidates as soon as they land on a job description. 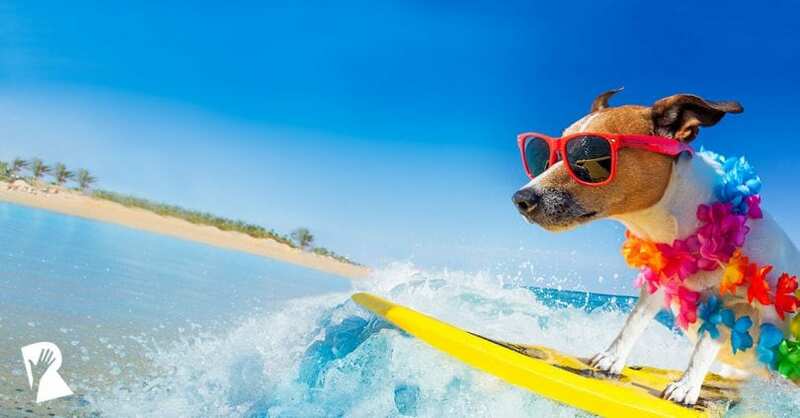 The first header they use is entitled “What’s in it for you,” which lists the top reasons why candidates might be interested in a particular role with the company. Candidates want to be able to identify if a company is the right fit for them. Provide them with the following to help them do so: your company’s mission and purpose (keep this part brief! ), team photos and videos, and links to web pages where they can dive deeper as desired. Every Deluxe job description starts off with a video of employees describing the culture and work environment. The job descriptions also provide information about the recruiter and job location. Lastly, there are also links at the bottom that give candidates the chance to click through and find out even more information about the culture, work and community involvement initiatives at Deluxe. 3 – Get personal with your job descriptions. 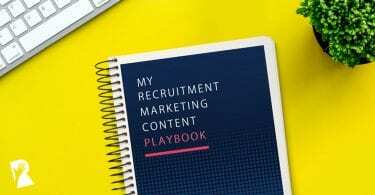 A trend we’re seeing in Recruitment Marketing is a movement towards increased personalization; or, creating content that speaks as specifically as possible to the candidate group you’re looking to reach. With job descriptions, this means you might personalize the information by linking to or listing out details that are specific to the role requirements, team culture or location. Northwell Heath’s job descriptions are personalized based on the job area. 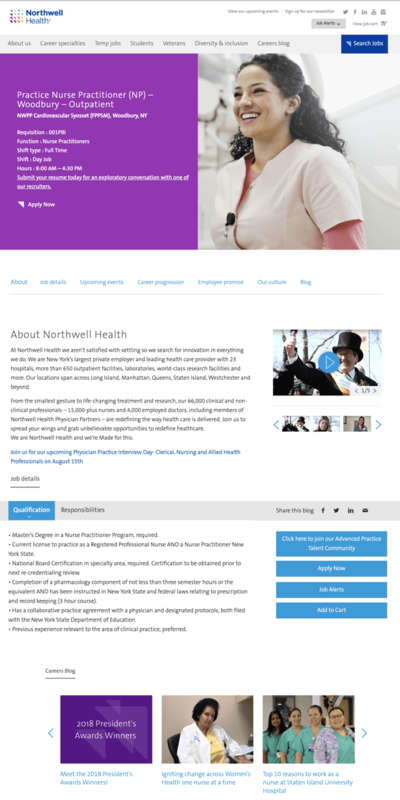 Nursing related job descriptions (pictured above) feature a person in medical scrubs in the header and pieces of content catered to the audience, like upcoming nursing recruitment events and blog posts featuring nurses working at Northwell. 4 – Attract more diverse hires by choosing the right words. The words you choose might deter some candidates and attract others. There’s a free website called Gender Decoder that can help you to check your job description language to see if it’s gender inclusive. If you have the budget, you could also consider an augmented writing tool like Textio, that analyzes your word choice to help your team write easier to digest, and more attractive and inclusive, job descriptions. Johnson & Johnson focused on creating job descriptions that were more appealing to women. They used the data provided by Textio to create job descriptions that included more gender inclusive terms and word choices. The results? During a short pilot period, Johnson & Johnson saw a 9% increase in female applicants in the US. 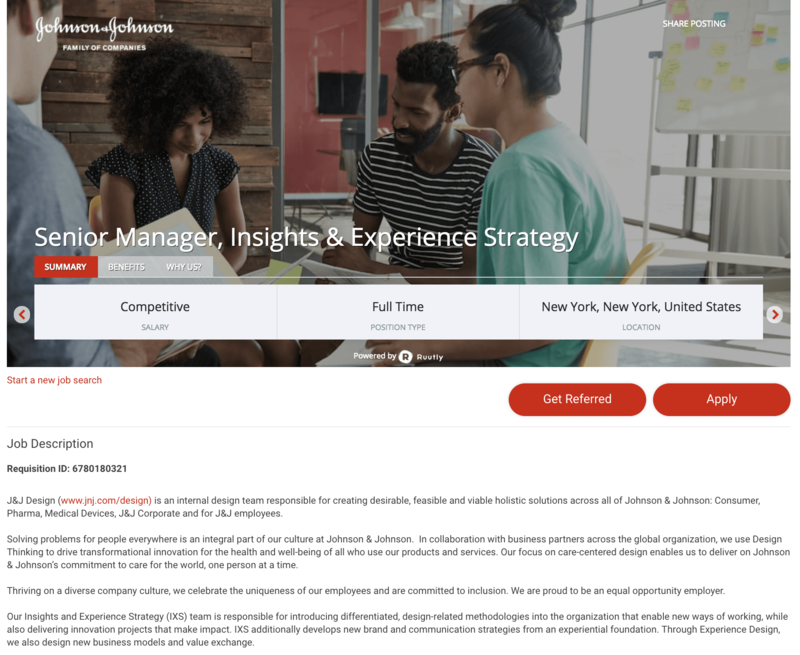 You can visit the J&J careers site to get an idea of what a gender inclusive job description might look like. 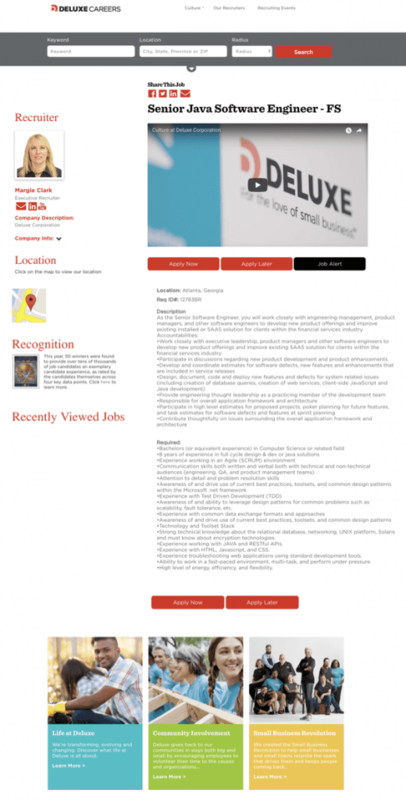 5 – Make your job descriptions visually appealing. You know how you were always told not to judge a book by its cover? That adage still holds up; however, an attractive book cover is important because it’s what convinces people to pick up the book and read the synopsis to find out more. The same holds true for job descriptions. A nicely laid out and visually presented job description will attract more candidates to read through and find out if the role and company are the right fit for them. Let’s face it, the role still might not be for everybody, but drawing in a wider number of people to look at the job requirements is likely to result in a bigger and more qualified pool of applicants. 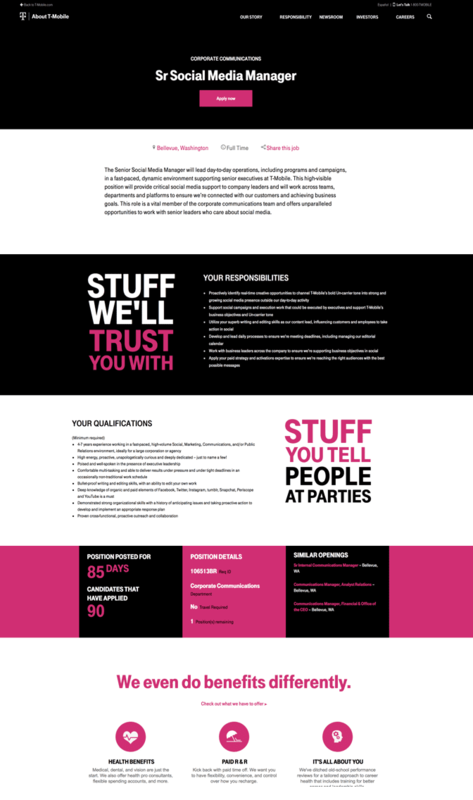 With a mix of black, white and fuchsia panels, T-Mobile’s job descriptions stand out and are aligned to their consumer brand look and feel. The large, conversational headers, “Stuff we’ll trust you with” and “Stuff you tell people at parties,” are prominent enough to stand out on the page and draw people in to read more. The company also lists out their benefits in a visual format and includes a map of the location where the role is based on each job description. We hope these tips help you to improve your company’s job descriptions. 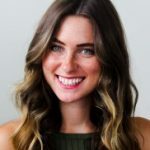 Your job descriptions are a really important first touchpoint for candidates; however, it’s also worth considering that a well-crafted job description is often only the starting point in a candidate’s journey. After attracting candidates through a great job description, the next stop will often be the other pages on your careers site. You can find out what other key bits of information you need to provide to candidates by reading through the Rally™ Lookbook, 12 Features of an Appealing Careers Page.